Update: On June 26, 2018, President Trump posthumously awarded the Medal of Honor to Garlin Murl Conner during a ceremony at the White House. His widow, Pauline Conner, remembered his extraordinary life on the "CBS Evening News." LOUISVILLE, Ky. -- Lt. Garlin Murl Conner left the U.S. Army as the second-most decorated soldier during World War II, earning four Silver Stars, four Bronze Stars, seven Purple Hearts and the Distinguished Service Cross for his actions during 28 straight months in combat. But despite backing from congressmen, senators, military veterans and historians, he never received the Medal of Honor, the nation's highest military distinction, awarded for life-risking acts of valor above and beyond the call of duty. Now a federal judge in Kentucky has ended his widow's 17-year quest to see that her husband received the medal. U.S. District Judge Thomas B. Russell, in an 11-page opinion issued late Tuesday, said a technicality will prevent Pauline Conner of Albany, Ky., from continuing her campaign on behalf of her husband, who died in 1998. Russell concluded that Pauline Conner waited too long to present new evidence to the U.S. Army Board of Correction of Military Records, which rejected her bid to alter her husband's service record. Russell praised Conner's "extraordinary courage and patriotic service," but said there was nothing he could do for the family. "Dismissing this claim as required by technical limitations in no way diminishes Lt. Conner's exemplary service and sacrifice," Russell wrote. Richard Chilton, a former Green Beret and amateur military historian who has researched Conner's service, said Conner deserves the Medal of Honor. Chilton pledged to get resolutions from lawmakers and veterans' groups in all 50 states in an attempt to get Congress to act on Conner's behalf. "I want to make sure they can't walk away from this," Chilton told The Associated Press on Wednesday. "He's a man worthy of this." Roughly 3,400 people have received the Medal of Honor since it was created in 1861, including actor Audie Murphy, the most decorated U.S. soldier in World War II. Murphy fought in the same areas as Conner and went on to star in dozens of Hollywood films, most of them Westerns and war epics. Conner served with the 3rd Infantry Division, which fought in France and Europe in 1945. The Army in 2001 named Eagle Base in Bosnia-Herzegovina after Conner, who died in 1998 in Clinton County, Ky., where he lived after his fighting days and served 17 years as president of the Clinton County Farm Bureau. "He was a real hero," said attorney Donald Todd of Lexington, who represents Conner's family. Conner's citation for the Distinguished Service Cross states that on Jan. 24, 1945, near Houssen, France, he slipped away from a military hospital with a hip wound to rejoin his unit rather than return home to Kentucky and unreeled a telephone wire, plunged into a shallow ditch in front of the battle line and directed multiple rounds of fire for three hours as German troops continued their offensive, sometimes getting within five yards of Conner's position. The board first rejected Conner's application in 1997 on its merits and turned away an appeal in June 2000, saying at the time no new evidence warranted a hearing or a new decoration despite more than a dozen letters of support for Conner. In the years that followed, lawmakers in Kentucky, Tennessee and three other states passed resolutions backing the effort to see Conner receive the Medal of Honor. After Chilton found three eyewitness accounts to Conner's deeds in 2006, Pauline Conner resubmitted the case to the board in 2008 - two years after the statute of limitations expired. A bipartisan group of current and former members of Congress has backed Conner's application in the past, including retired Sen. Bob Dole, a Kansas Republican and World War II veteran; retired Sen. Wendell Ford, a Democrat from Kentucky; current Senate Minority Leader Mitch McConnell of Kentucky; and Whitfield, who represents Conner's home town near the Tennessee line. Noted World War II historian Steven Ambrose, who died in 2002, wrote in November 2000 to support Conner's application, saying his actions were "far above the call of duty." "The most recent information received 22 December 2008 is not new evidence and does not warrant granting an exception to the above cited regulation and a formal hearing," wrote Conrad V. Meyer, the director of the Army Board for Correction of Military Records on Feb. 9, 2009. While the military board has upgraded other recipients of the Distinguished Service Cross to a Medal of Honor, the action is rare. As of 2012, the last year available, 178 Distinguished Service Crosses had been elevated to Medal of Honor status out of 13,000 issued since 1917. Military policy dictates that the first decoration must be re-examined, re-justified and then re-evaluated with new evidence before any action can be taken. In February, the Pentagon announced that President Barack Obama will bestow the Medal of Honor on 24 other veterans after a decade-long congressionally mandated review of minorities who may have been passed over for it because of prejudices. The unusual mass ceremony, scheduled for Tuesday, will honor veterans - most of Hispanic or Jewish heritage - who already had been recognized with the Distinguished Service Cross. 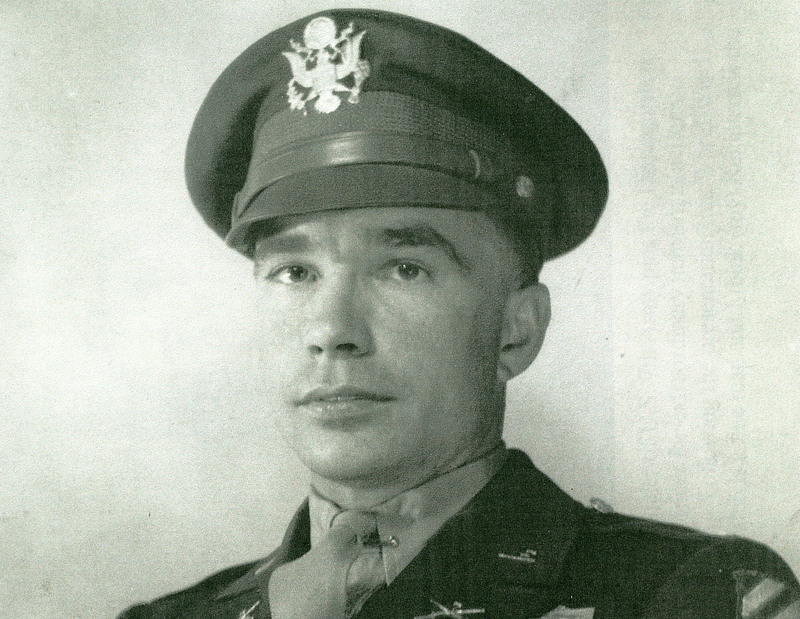 Conner's commander in World War II, retired Maj. Gen. Lloyd B. Ramsey of Salem, Va., filed an affidavit saying Conner's work, while injured, provided valuable intelligence. Conner's fellow soldiers also filed affidavits crediting Conner with helping not only save the lives of fellow soldiers but being key to defeating the Germans in the battle. Retired Lt. Harold Wigetman, a member of the 3rd Battalion, 7th Infantry, said that between the artillery strikes Conner called in and spray from his own machine gun, he killed at least 50 German soldiers and wounded twice as many. "His heroic and entirely voluntary act saved our battalion," Wigetman wrote. "If he hadn't done what he did, we would have had to fight for our lives."